Huge power and Celestion punch from a lightweight 1x12 combo. 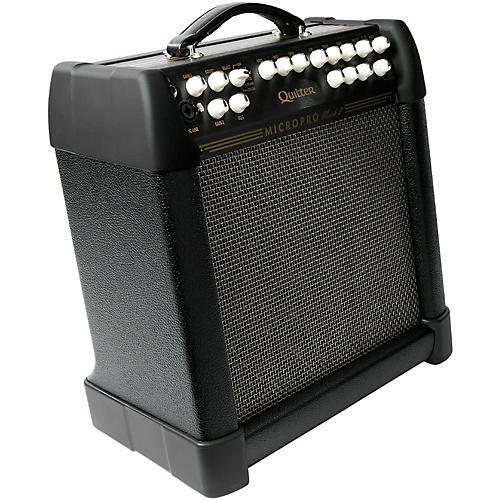 The Quilter 12-inch Mach 2 combo is the ultimate amp when you need serious power in a small package. With a throatier voice and more presence, the Celestion Classic Lead 80 lives up to its name. The sealed enclosure is calibrated to deliver a very balanced and beautiful tone, combined with the powerful and up-front characteristics of the speaker—it's perfect for the player who plays lead, rock, blues or anyone wanting serious power. Great for electric instruments, the 12 inch combo packs a serious punch for players who love the sound of a 12 inch speaker, and want something powerful enough to handle a full band but portable enough to go anywhere. Combine this with a matching 12 inch extension cabinet for staggering power that will easily handle outdoor gigs without a PA system. Weighing in at 27 pounds, it is easy to carry and small enough to go anywhere.